More from Ora: Is The Console Dead? Lots of cool stuff on the Interwebs this week, dweebs. 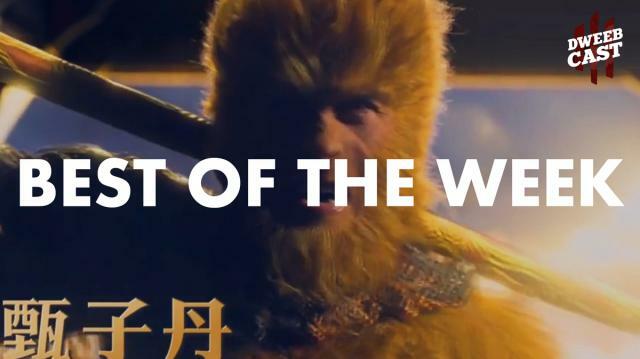 First, we got a CRAZY trailer for a new movie out of Hong Kong called ‘Monkey King,’ which is really like a live-action anime. Epic action, dragon-fighting, a king who’s also a monkey...seriously, NONE of it makes a bit of sense but it makes for an AWESOME video! Also, Star Wars comics are going home to Marvel after being published at Dark Horse Comics for more than 20 years and Spider-Man helps ring in the new year! Denzel as Green Lantern? Bogus Casting Rumors of 2013!